With the removal of Talk from 850 WPTK Raleigh, Curtis Media has flipped it and its new translators 104.7 W284CP Raleigh and 104.7 W284CD Youngsville to Oldies “Just Right Radio“. Curtis also indicates a format change may be on the way to Comedy “Funny 570” WFNL due to low ratings stating Bluegrass music as a possibility. 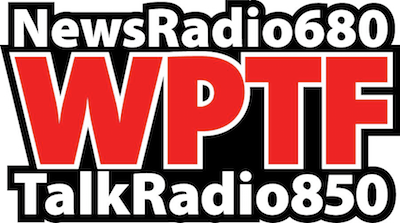 Original Report 8/26: A little more than three years after Curtis Media split the programming of News/Talk 680 WPTF Raliegh to also air on 850 WPTK, the brand extension will come to an end on Thursday, August 27. WPTF will eliminate much its midday news blocks in the move as Bill LuMaye moves from 3-7pm on 850 to 10am-12pm on 680 and the syndicated Clark Howard moves from 1-3pm on WPTK to the same timeslot on WPTF. News programming will continue on 680 in morning drive, 12pm-1pm, and 3-7pm. Raleigh & Co. reports that 850 will be paired with 104.7 W284CP Raleigh and 104.7 W284CD Youngsville for a 60s/70s based music format. Such a format would bring it fairly close to sister Classic Hits “Kix 102.9” WKIX-FM Raleigh. I’ve always appreciated that Curtis has tried keeping a lot of local News and Talk programming on those stations (and on the Triad’s WSJS). Granted, being the current owner of the North Carolina News Network (NCNN) certainly helps. “Just Right” seems more like a brand one would find on a conservatalker. But I give them credit for trying a music format that isn’t bogged down in focus groups and research.